I have a weakness for lemon-infused desserts. I go nuts for a simple lemon-iced sugar cookie. When I lived in the San Francisco bay area for a few years, I would get the best lemon-iced sugar cookie of my life every time I had to work downtown. There was a little Italian coffee shop called Caffe Amici (now closed… boo) in the city, and they had the absolute best, most phenomenal lemon cookie I’ve ever tried, to this day. 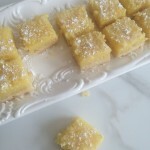 Another favorite lemon-y dessert is my grandmother’s Lemon Butter Snowbars. They are food of the Gods! It’s a very, very old recipe, but it’s a classic and it’s lasted the test of time for good reason. Those bars have made A LOT of appearances at family gatherings over the years. We double the lemon filling when we make them. So, so good. 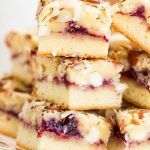 Lastly, these Lemon-Raspberry Cheesecake Squares. They’ve been a staple recipe of mine for a pretty long time. After all, lemon + cheesecake = omgaaaaaah. So then there’s this recipe. All it basically took to pique my interest was the word “lemon” in the title. 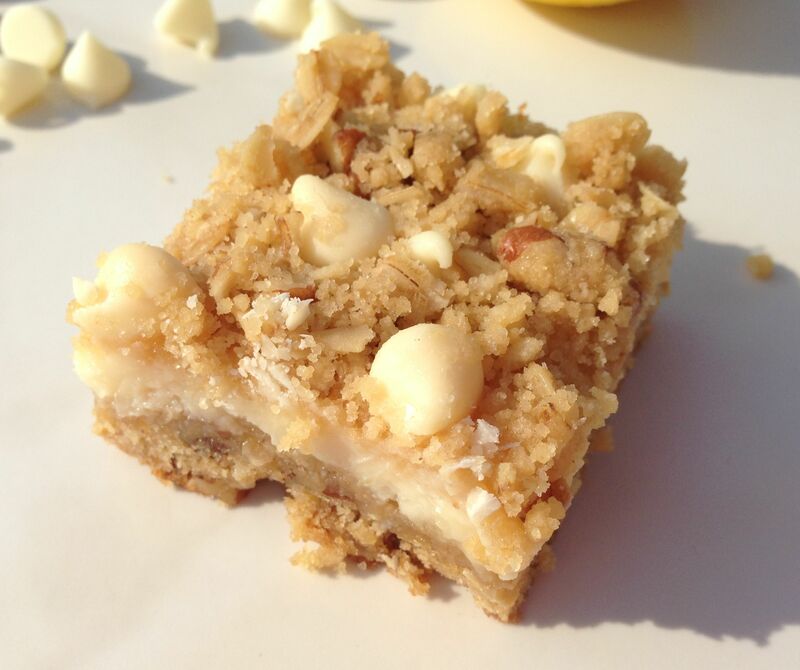 I found this recipe for White Chocolate Lemon Streusel Bars in a Hershey’s cookbook last week. Truth be told, it was a sub-par cookbook. Just bein’ honest. As I was flipping through it, this recipe was the only one that stood out to me by a long shot. Most of the other recipes were painfully basic or heavily recycled. Since I’ve been in full-fledged spring cleaning mode and merciless about getting rid of stuff, I decided it did not warrant a rare and limited spot on my cookbook shelf. I gave it the boot. But not before first tearing out this one lone recipe. It’s a good one, my friends. 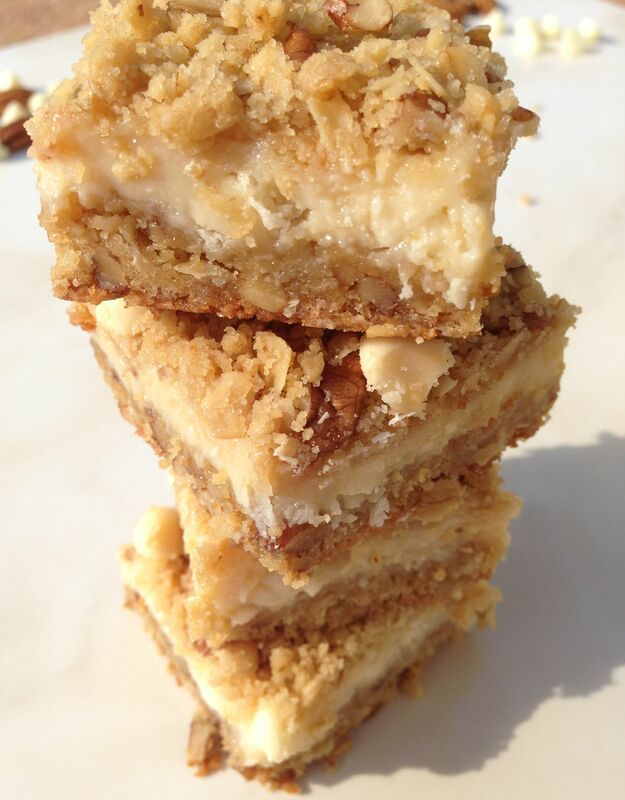 These bars have addictive properties. As I sit here writing this, I’ve gotten up 3 times in less than 5 minutes to go to the kitchen for ‘just one more little bite’. Let me tell you what little bite after little bite after little bite add up to… yeah. They’re becoming a problem. Make that 4 times now. That’s not a joke. These are sure to become a holy grail recipe in my collection of favorites. I can’t wait to take them to a picnic or party. These would be great anytime, but they’d make an especially wonderful spring and summer dessert because the lemon flavor is so fresh and bright. The lemon cream filling is, well, creamy. But it’s soooo creamy. Plus there’s a lot of it. And it’s tart, sweet, and luscious. 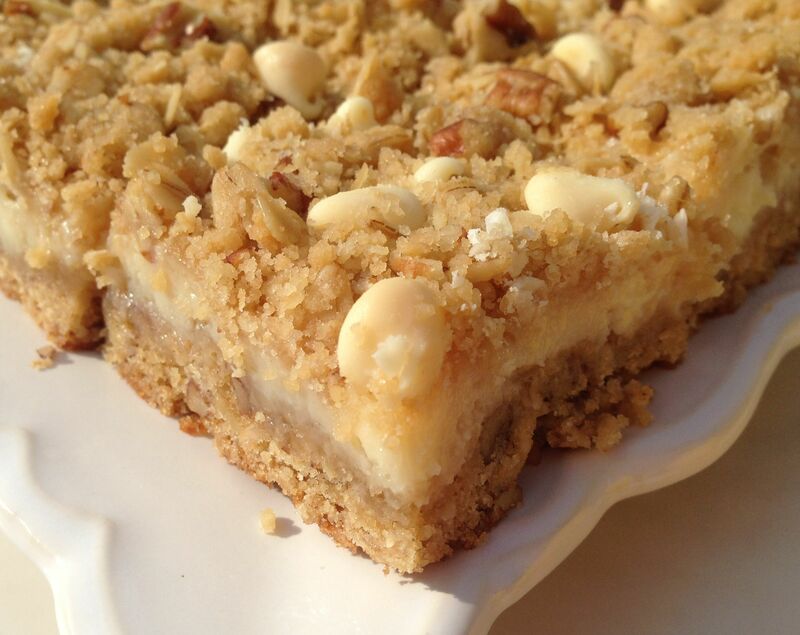 The white chocolate adds richness and depth to the lemon flavor, and then throw in a brown sugar and oat streusel crust and topping. Um, when did you ever know those things not to make something 100x better? Exactly. These are perfection. Totally amazing. Wouldn’t change a darn thing. Not a thing. Except that I did, but a tiny little thing, and only because I am BONKERS for lemon (see my note following the recipe). However, it’s definitely an optional change and this recipe is fabulous just the way it is. Lightly grease a 9×13 pan. Combine sweetened condensed milk, lemon juice, and lemon peel in a medium bowl and set aside. Measure out 1/3 cup white chips and set aside. Add remaining white chips to lemon mixture. Beat butter and brown sugar in a large bowl until well blended. Stir together flour, oats, pecans, baking powder, and salt. Add to butter mixture, blending well. Set aside about 1 2/3 cups oat mixture. Add egg to remaining oat mixture, blending well. Press onto bottom of prepared pan. Spoon lemon mixture on top of crust, spreading evenly. Add reserved 1/3 cup white chocolate chips to reserved oat mixture. Sprinkle over lemon layer, pressing down lightly. Bake at 350 degrees for 20-25 minutes or until lightly browned. Cool in pan on wire rack. Note: Because I am cuckoo for lemon desserts, I wanted to amp up the flavor slightly. I increased the freshly grated lemon peel from 1 tsp. to 1 1/2 tsp., and I also added 1 tsp. lemon extract to the cream filling. I love how these turned out with those changes. 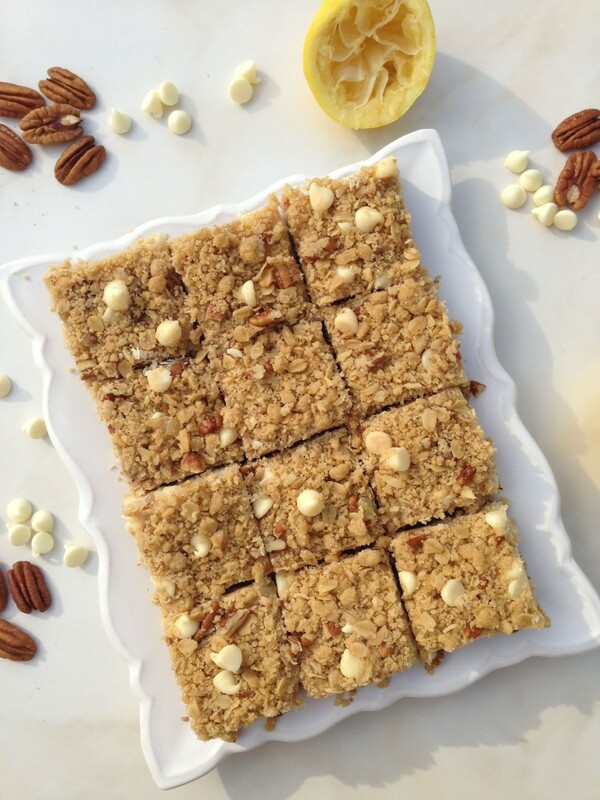 The bars were very lemon-y flavored, but not overdone. These look great. Is the 1/2 tsp shortening to grease the pan? There’s no mention of that ingredient otherwise in the recipe. Hi Bob! Thanks so much for stopping by here! 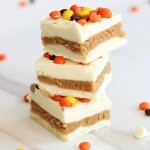 The recipe is adapted from an old Hershey’s recipe and I must’ve included that ingredient accidentally. If you were going to reserve a few white chips for a drizzle on top, you’d mix in that shortening to make the chips smoother. I didn’t do a drizzle, so I should’ve left that out. Thanks for noticing the mistake! I updated the recipe. These bars are absolutely amazing and I LOVED them. I hope you enjoy them! Let me know how they turn out for you! Gold Lining Girl – these are delicious!! Thank you so much for sharing. I make a large pan (12×18) dessert for a free meal that is provided once a week to anyone that needs it in our small town. 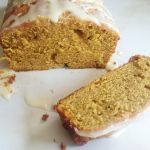 I am always looking for new recipes and I will add this one to my list. 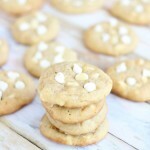 Someone had donated a large bag of white chocolate chips and was looking for way to use them. 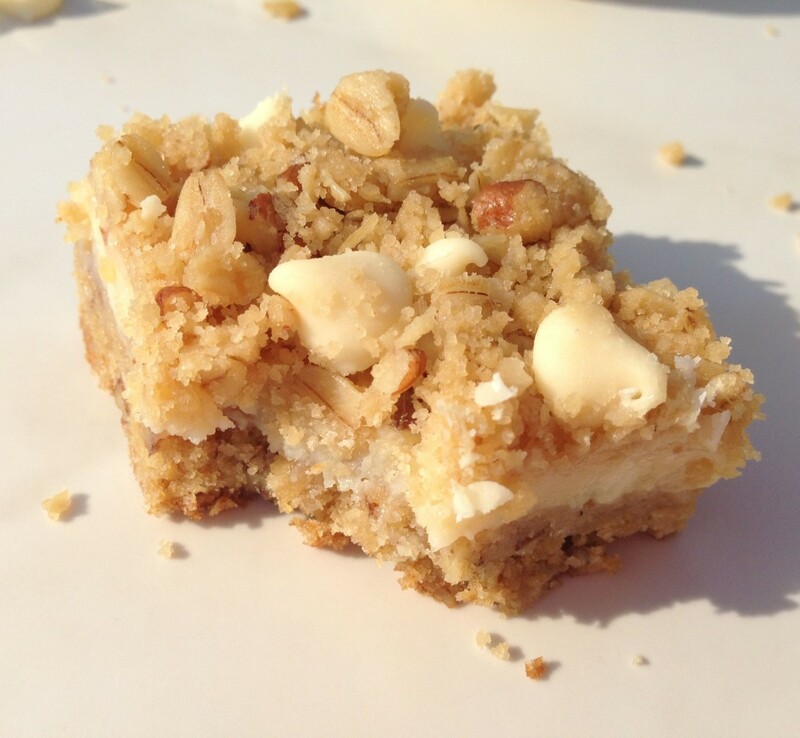 Your recipe popped up and it’s perfect. Oh yay!! Aren’t they wonderful? Boy, those pictures on that post are old and TERRIBLE though. I should reshoot those. Lol! I’m so glad that you liked the bars. I haven’t made these in a while, and I need to!! Thank you for your kind comment! I’m sorry, I don’t have that information! But I have seen websites where you can plug in the ingredients, and it gives you nutritional info! Thank you, Arlene!